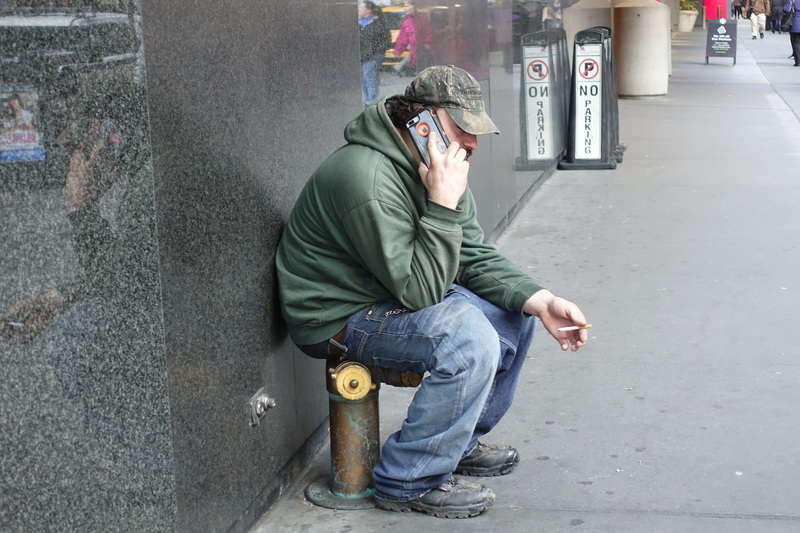 A week in New York City produces a host of images. 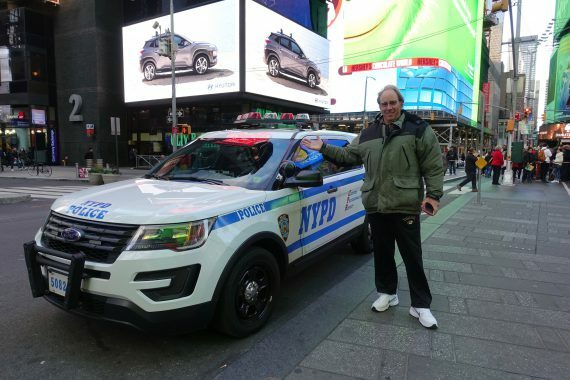 My brother Roger and I attended seven Broadway shows during our trip and walked to Times Square theaters six times and to Lincoln Center once. We spent a boatload of money (on tickets), but dinners were of the microwave variety. We have great memories of wonderful shows and we were glad to catch up with one another. These photos were all taken during our comings and goings. The weather in New York was frosty and these were not the shoes of choice for most of us. The dress for the theater? 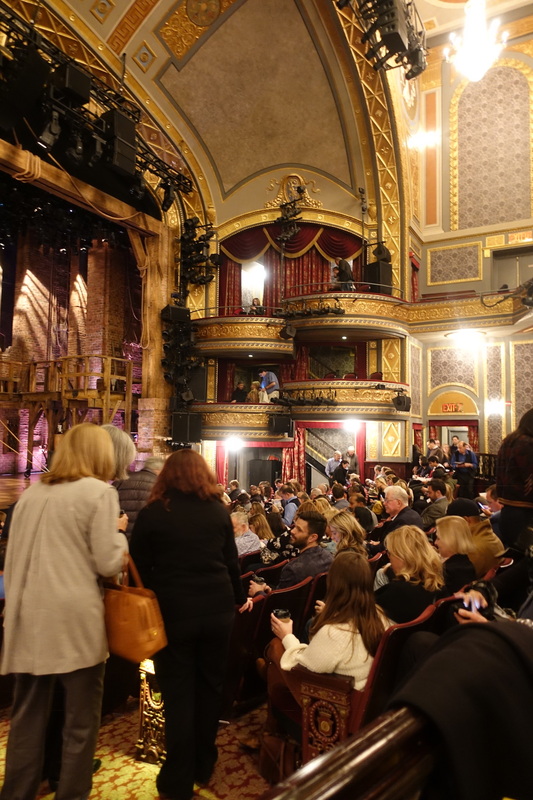 Large coats and very comfortable clothing: lots of jeans and tennis shoes despite most theater tickets starting at $150 each. 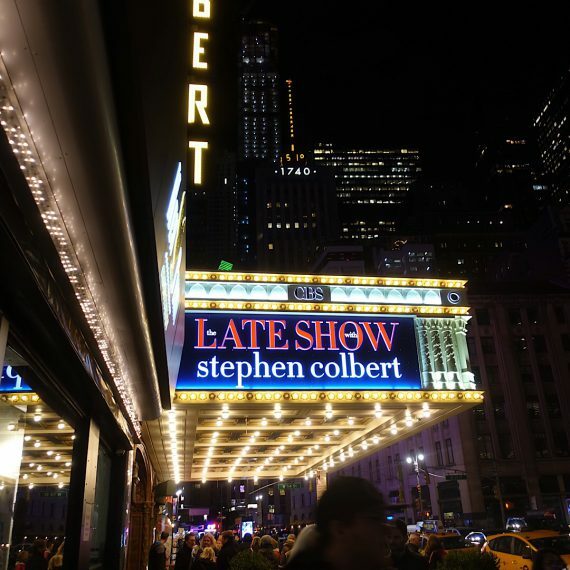 The theater where the Stephen Colbert show is televised is on the way to the Broadway theaters. The famous old New York theaters, such as the Richard Rogers, are a pleasure to see. However, the width of the seats leaves something to be desired. Almost every show we saw was sold out. 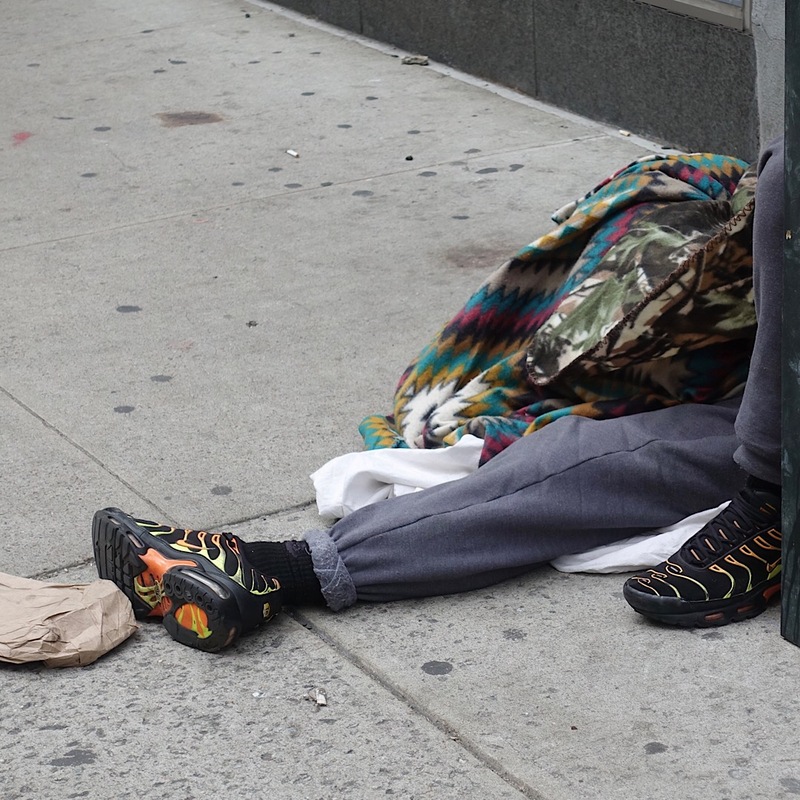 Sadly, a walk to the theater also means passing a number of sleeping folks hoping for contributions from strangers. Pumpkins in abundance are part of the plan at the Paramount Plaza on Broadway. Times Square is a destination for the world’s tourists, with lots of different languages being heard and photos taken that go all over the world. Great Broadway musicals like The Book of Mormon can run for years. 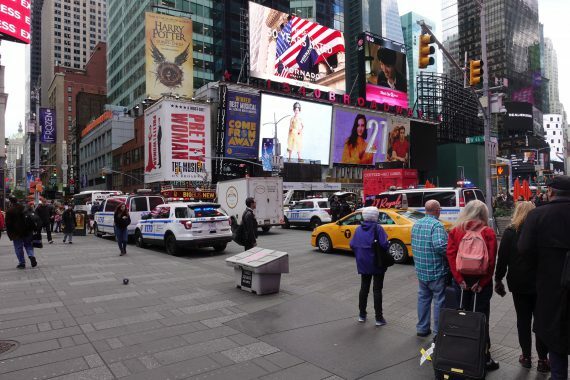 Yes, we stayed at a time share in New York just a block from CNN the day a bomb scare was reported,. Plenty of NYPD officers and cars were on the streets and of course, my brother had to pose in front of one of the cars. 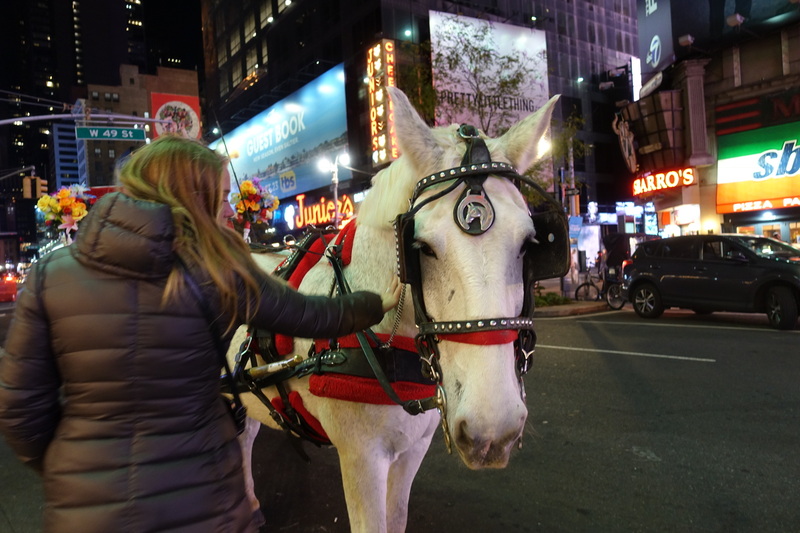 After the show, many different modes of transportation are available for the ride home. When it’s time for a smoke, an important call must be made and no benches are available…..
Lots of signs advertise lots of shows. 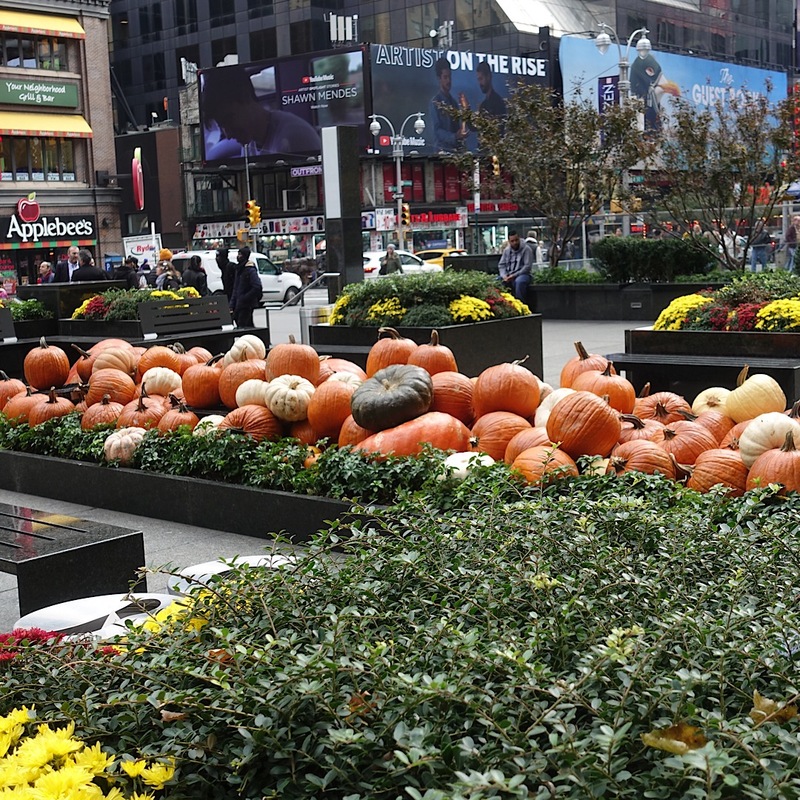 Times Square is colorful day and night. 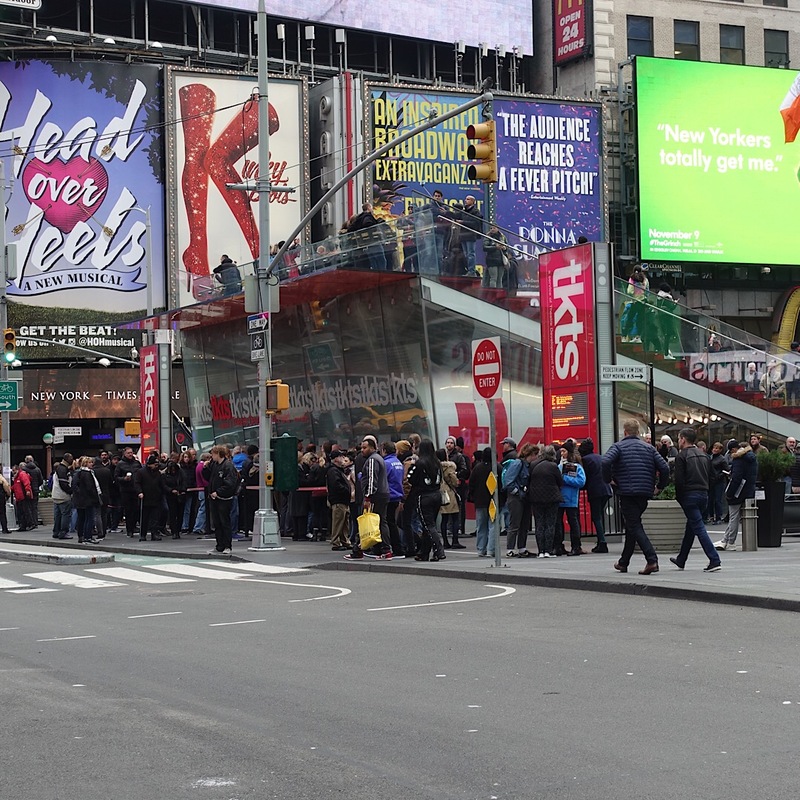 On a Friday, this is the lineup at the Times Square TKTS outlet. Broadway tickets are available at 20 to 50 percent discounts. Yes, a couple shows on our list were available at the TKTS booth. 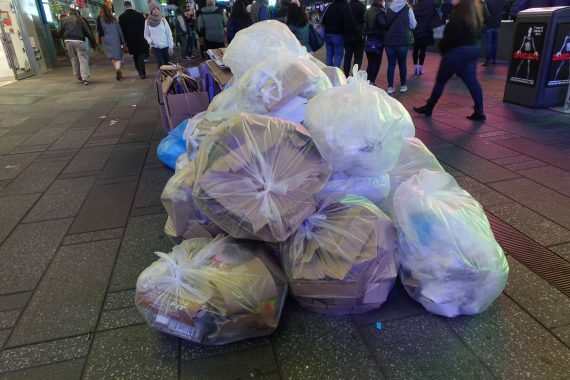 Always a lovely greeting when returning home from the theater: the day’s garbage left for pickup on the sidewalk. 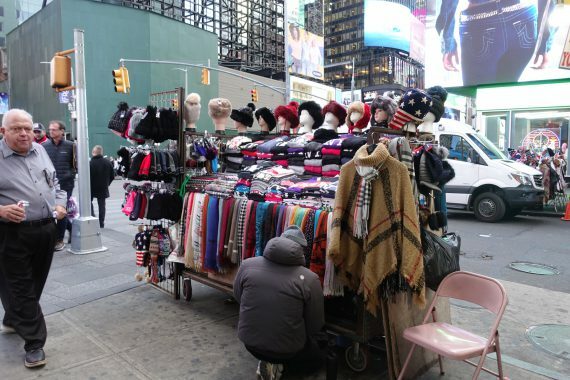 Vendors in New York always seem to have the right products for the weather. I was intrigued and confused by this sign on a Times Square trash can. Apparently the poster is part of a House of Trees project to highlight women artists and writers. 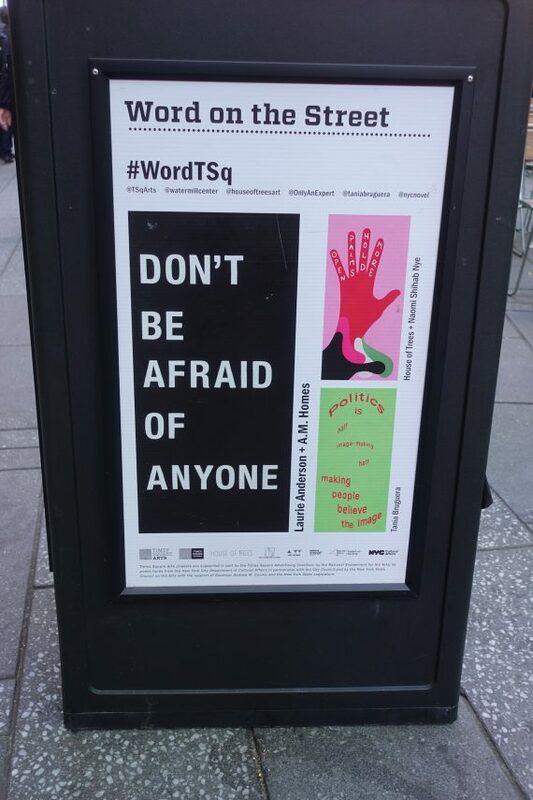 “Don’t be afraid of anyone” refers to being scared of people because they are a different race or preference. I did stop and pay attention, and that was the idea. 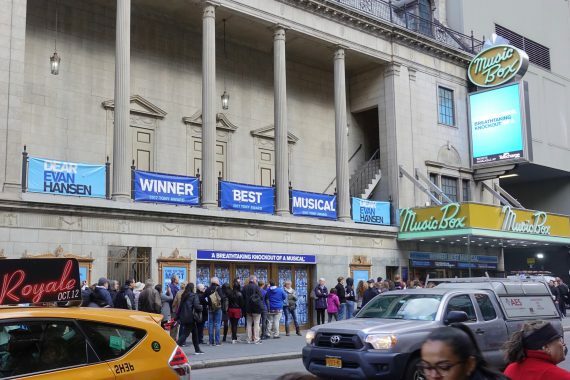 This is the matinee lineup for Dear Evan Hansen. 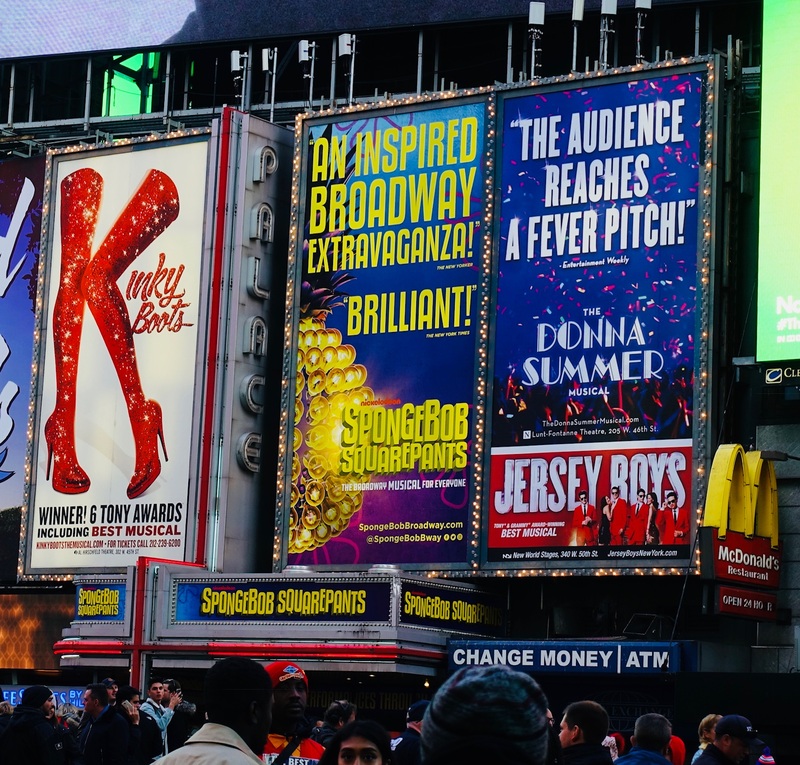 People will ask which shows we saw (and I tend to forget the names) so here is the list: The Band’s Visit, Dear Evan Hansen, Hamilton, My Fair Lady, King Kong, The Lifespan of a Fact and Come From Away. I get my recommendations from friends and the New York Times, but so many good shows are available, a theater-goer really can’t go wrong. Hungry, but not ready for an expensive restaurant? 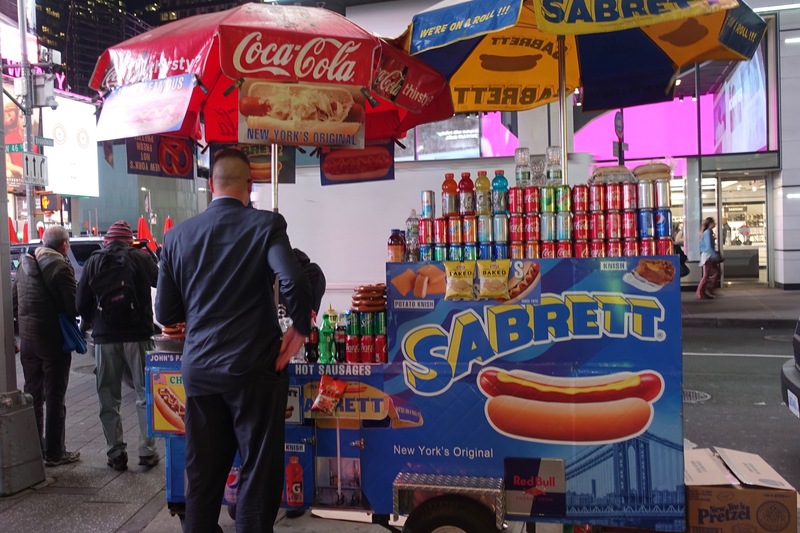 Times Square features a number of fast-and-cheap options. 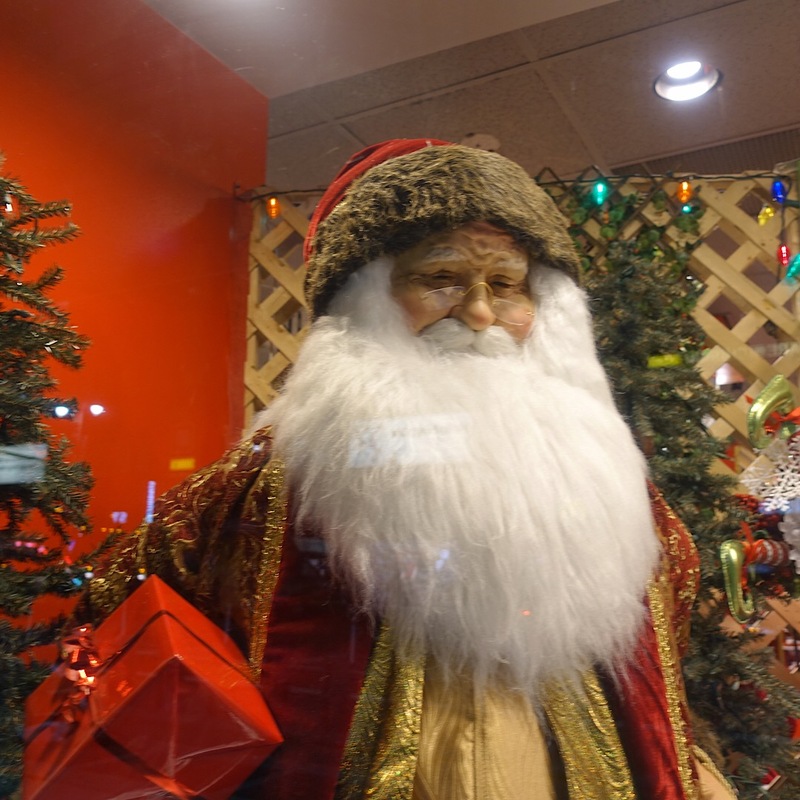 Guess who already decorates the Christmas in New York store featuring holiday decorations? Time to start shopping? Diane…thanks for the memories and inspiration for future travel. My niece is a police chief and says there is so much security in place after 9-11, that NYC is one of the safest places in the world. Wow! You packed a lot into your NYC trip. Sounds like a great week! 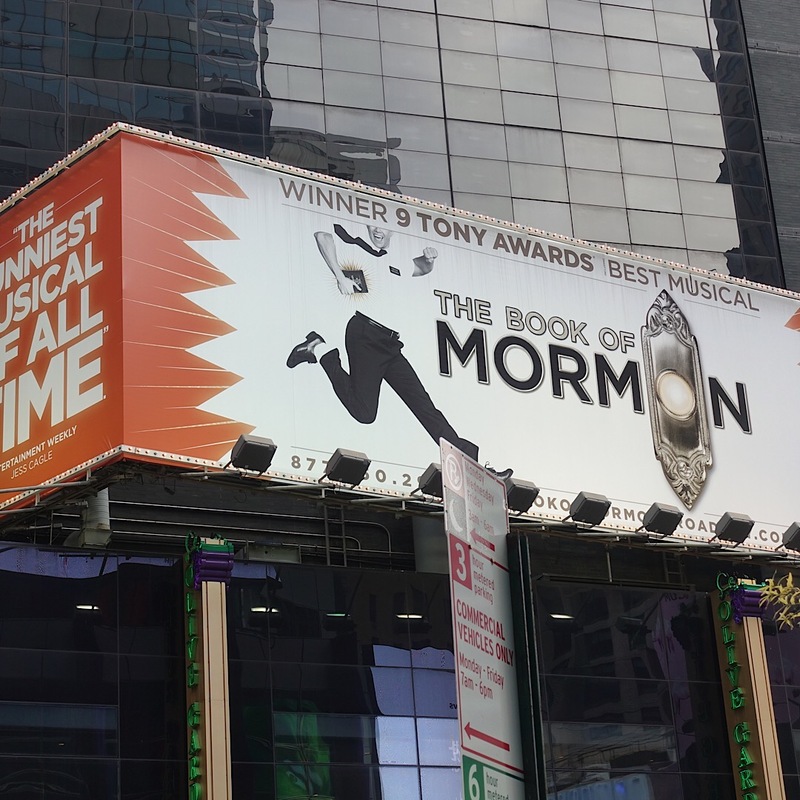 Megan and I stayed in a hotel just off Times Square (1 block) when were there for the BEA meeting. Spent a fair amount of time walking through Times Square on the way and back from the subway. 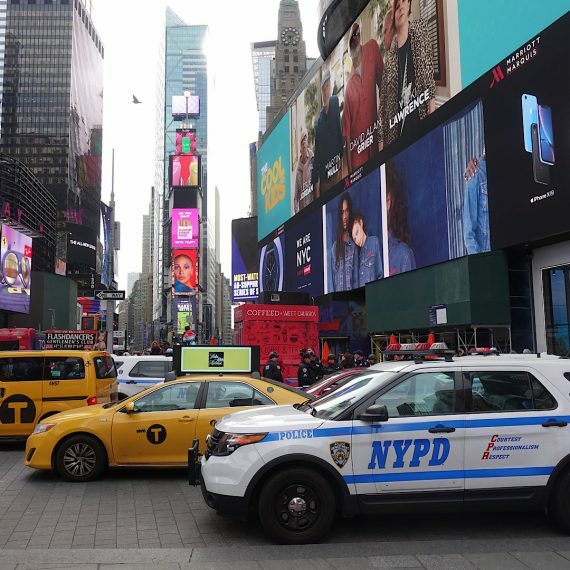 Times Square seems more and more like certain places in Las Vegas — There is a police substation located right at Times Square — so seeing police, especially at the beginning of shifts is very common.